Moving can be both exciting and stressful. You'll get to make new memories, meet new people, and discover all the great things that your new neighborhood has to offer. However, before you get there, there's a lot of logistics to take care. If you're not adequately prepared, the moving process can be a huge headache that takes away all the joy that comes with a fresh start. Luckily, Plano moving companies like us are here to take care of all the details. ​Ensuring that we deliver the best services to our clients is crucial for us. Let us help you prepare for a smooth and successful move. We let our quality work and commitment to customer satisfaction be our slogan. Both Local and long distance moving assistance that goes beyond just getting the job done. Many years of experience in home, business and office moves. We strive to meet the needs of the world today without jeopardizing the needs of the world tomorrow. ​When you work with us, you’ll have peace of mind knowing that we are covered for your ultimate comfort and safety. When you retain our services, you can be certain that we have your best interests at heart. Your happiness is our success. If you're on the fence about hiring a professional moving company like us, you should consider all of the advantages we offer. Some people prefer to do it all themselves. While it may seem like an easy enough task at first, most DIY movers quickly find out that they're in way over their head. Moving is a huge undertaking. It requires careful planning, packing, disassembling furniture, organizing, and a lot of heavy lifting. Once all of that is done, you have to drive a large truck to your destination and do the whole thing again in reverse. It's just way too much for one person to do alone. Sure, you could get help from some of your friends and family. But does anyone every really enjoy helping out with moves? It's not fun and most helpers put in way more work than they expect for little to no payoff. Not only that, but most people don't have the equipment or know-how to help you safely. Our local and long distance moving company will do all the heavy lifting for you. Our clients quickly realize how our service can make the moving process smooth and hassle-free. Here are some distinct advantages that we offer. ​Let's face it, packing is a long and tedious process. 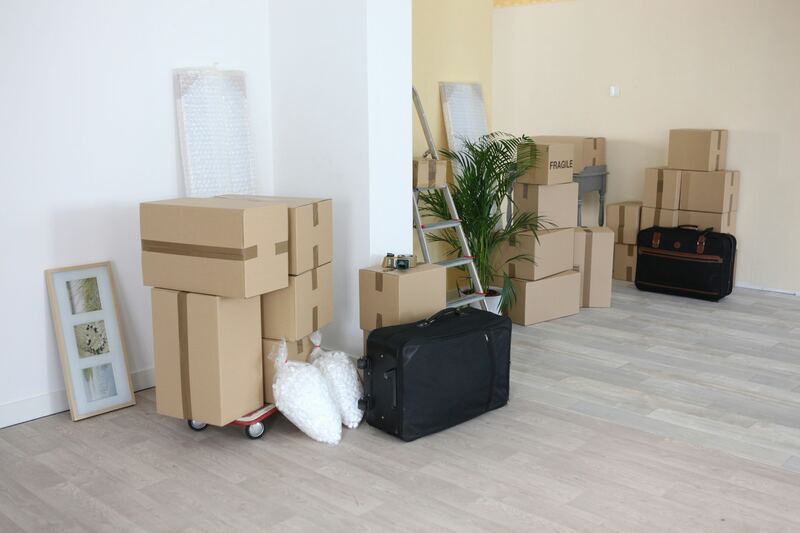 Whether you're moving out of a small apartment or home with thousands of square feet, it can take weeks to get everything packed up safely. With our help, you won't have to worry about a thing. We'll take a look at your home and create a packing plan that's quick and efficient. Our movers in Plano, TX, will come equipped with all the boxes and packing material they need. Each item in your home or office will be carefully organized and packed. We utilize established methods. Similar items will be packed together so that they stay safe. To make things easier for you once you get to your new destination, we can also apply labels. Our crew will work their way through your building room by room. Before you know it, you're ready to hit the road.